It seems all things “Naturalâ€ are in high demand these days, with more and more people switching to holistic and healthy living. 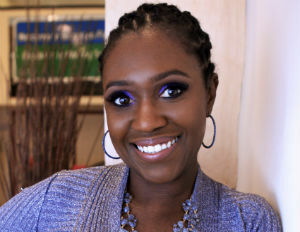 Â The need for natural is good news for skincare guru and Â small business owner Sophia Sylvester, the mastermind behind her natural skin care product line Brooklyn Flavors, which offers customers unique bottled aromas, specific to the individual neighborhoods of Â Brooklyn, N.Y. It all began in 2006, when Sylvester started creating natural skincare products in search of a solution for her children’s severe dry skin. She felt Â over the counter products were not helping and in some cases making their skin issues worse. She began combining natural butters and oils, in effort to achieve a suitable, texture, and moisture level perfect for her families needs. Fast forward to August 2013, when the Brooklyn Flavors storefront officially opened in the Prospect Heights area of Brooklyn and Sylvesters homemade mixtures of essential oils, natural butters, and fragrant scents, once made in her kitchen, now flourished in well packaged samples of Brooklyn nostalgia, placed on a neat shelf, for loyal customers to enjoy, gift, and share. Black Enterprise caught up with Sophia Sylvester to talk her entrepreneurship journey, overcoming fear, and Brooklyn’s worldwide appeal. BlackEnterprise.com: Tell me a little about yourself and your background. Born of Caribbean parents, they encouraged us to use natural herbs and remedies for everyday use. As a teenager I didn’t understand the holistic benefits until I had children of my own and Brooklyn Flavors natural skin care products was born. What made you want to become an entrepreneur where did you transition from? I wanted to spend more time with my children and work from home. I was a Medical Assistant and employed for someone else and I felt a strong compunction to be my own boss. 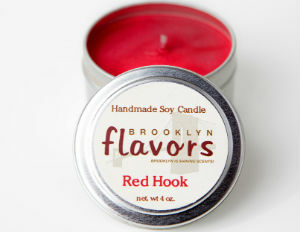 Where did the inspiration for Brooklyn Flavors come from? My children suffered with severe dry skin. I used the over the counter lotions and the results were unsatisfactory. I decided to research oils and butters and make my own natural remedy. The results were spectacular, their dry skin issue was resolved. What is your business model or business strategy? Based on my experience with my children I realized there was a need for skin care products using natural ingredients. My strategy was to make the products fun and familiar by using Brooklyn neighborhoods because Brooklyn has a worldwide appeal. How much capital did it take to start your businesses and how did you acquire it? I started it as a home based business and bootstrapped the initial costs. There were some additional costs when we opened our first retail location, running in the low thousands. What were some of your biggest fears during your time of transition into entrepreneurship and how did you overcome them? At the beginning of our journey, from a home-based business to craft fairs, we were not sure if we would be noticed because the market was so saturated with well known skin care companies. We overcame this fear by creating a broad business name with exclusive niche product line. To find out more or to try out Sophia Sylvester’s natural skincare products, visit Brooklyn Flavors.